Use 60 x 60 in., 15,000 lb. capacity Bluff Aluminum Dock Boards are designed with diamond deck aluminum to provide a lighter alternative to steel dock boards. 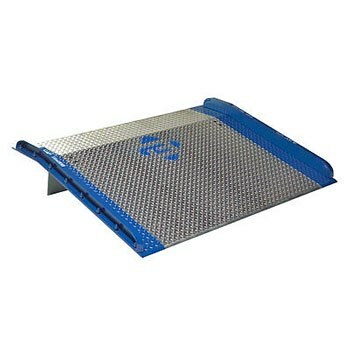 These Dock Boards eliminate the gap between uneven loading surfaces, trailers and docks. Bolted curbs provide runoff protection and further support to this already rugged product. Legs on the board lock into secure positions. An 11 inch lip provides a smooth dock to truck transition. ANSI Certified.